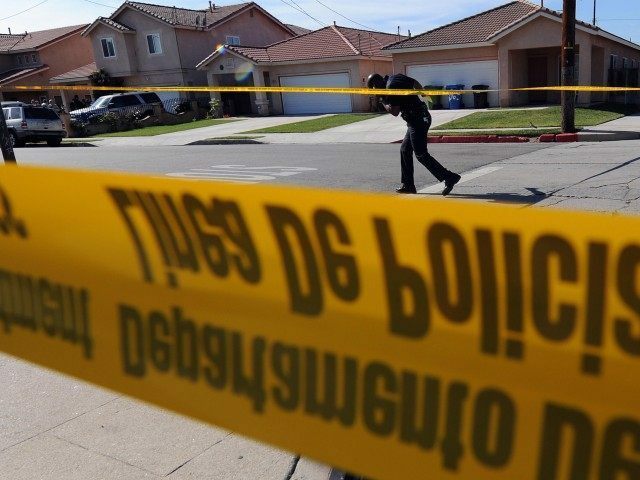 An elderly, blind man’s decapitated body was found just after noon on Thursday in his Inglewood, California home, a woman identifying herself as his cousin said. Alysia Powell, identifying herself as the deceased man’s cousin, told CBS2 that the man’s son found him. She identified the man as Robert Hollis, nicknamed Bo Jangles, and expressed that he was active in church and sang in two choirs. Nothing appeared to be stolen said Powell; he was still wearing his jewelry. Powell said the man’s head was not found in the immediate area. “It’s so hard to process and so vicious in the manner it was done is so vicious,” Powell told CBS2. The Inglewood Police Homicide Department is not yet releasing the manner of Hollis’ death, but told Breitbart News they are investigating. An official did confirm that the suspect remains at large. Anyone with information is encouraged to call Inglewood police at 310-412-5246 or the 24 hour anonymous tip line at 888-412-7463.